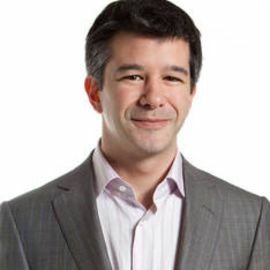 Travis Kalanick is a co-founder and the CEO of Uber Technologies Inc.
Travis Kalanick is an entrepreneur in the areas of consumer internet, transportation, and enterprise content delivery. His most recent company, Uber, an on-demand black car service, seeks to be “Everyone’s Private Driver” by bringing disruptive technology and business innovation to urban transportation challenges. Prior to Uber, Travis founded Red Swoosh, an enterprise content delivery company that he sold to Akamai Technologies in 2007. Prior companies include Scour, the world's first peer-to-peer search engine where Kalanick also attained the dubious distinction of having been sued for $250 billion. In addition, Kalanick has been an active angel investor. Kalanickis lived in Northridge, California where he graduated from Granada Hills High School and later enrolled in college at the University of California, Los Angeles to study computer engineering. Five years ago, Travis Kalanick launched a startup called UberCab in San Francisco.